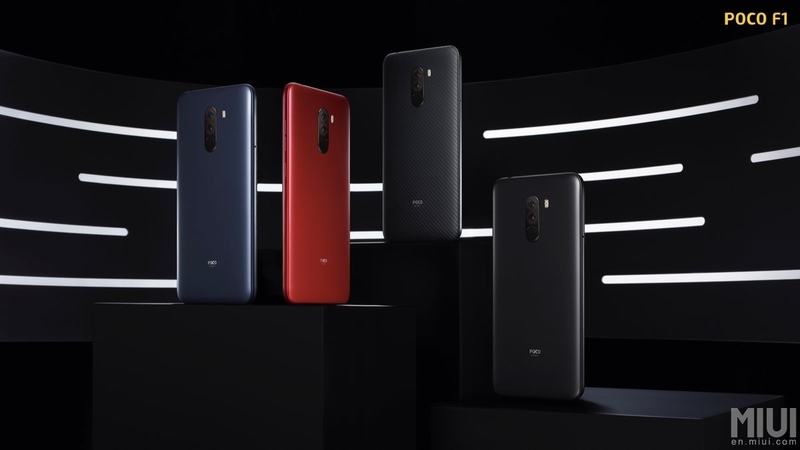 Xiaomi has officially launched the Poco F1 in India to take on rival flagship killers such as the OnePlus 6, Asus Zenfone 5Z, the Honor 10, and the Honor Play. The Poco F1 features 2018 flagship specifications and Xiaomi says that it has been optimized from the ground up for fast performance. 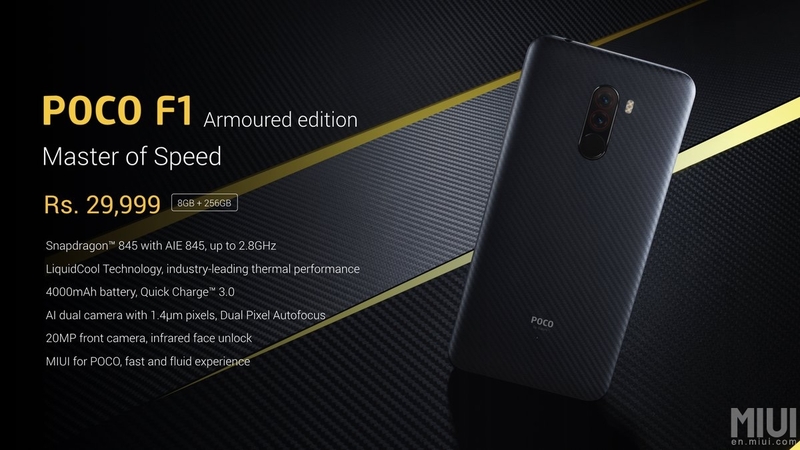 The Poco F1 will be available in 3 color variants along with a special Armored Edition and starts from US$300 for the 6GB/64GB variant. 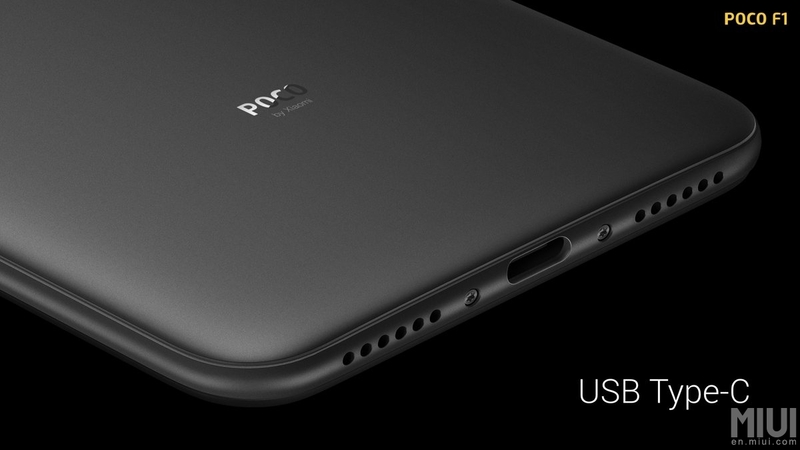 Xiaomi is leading the smartphone market in India right now and by launching a new sub-brand Poco, the Chinese OEM major is all set to take the market by storm once again. 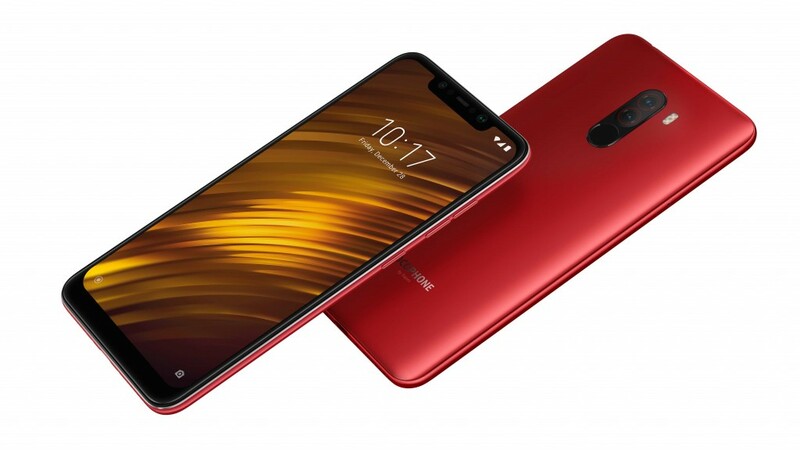 Known as the Pocophone F1 internationally and the Poco F1 in India, this is Xiaomi's take on the burgeoning affordable flagship category. 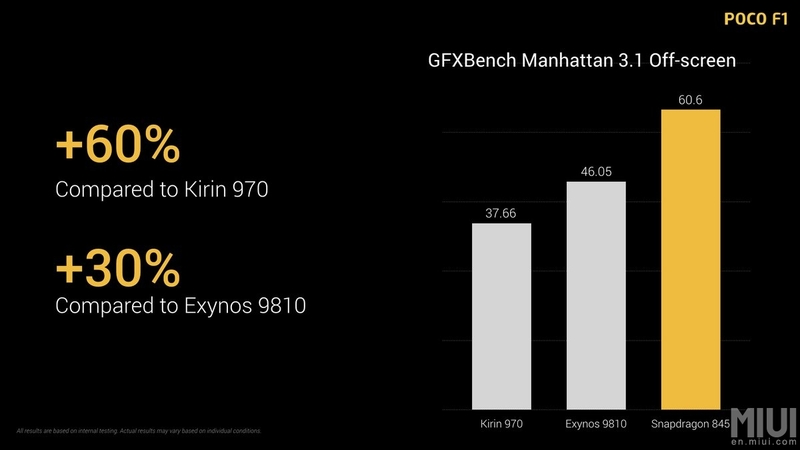 As Xiaomi's Jai Mani puts it, flagship phones with top-end components are crossing the US$1,000 mark putting them out of reach for most users especially, if they decide to purchase unlocked variants. OnePlus rose to fame as the flagship killer OEM and the OnePlus 6 quickly became one of the fastest selling phones in India. Then, Asus came along with its Zenfone 5Z and undercut the OnePlus 6 by a fair margin while still offering equally competent features. Now, Xiaomi's Poco F1 has literally taken things up a notch further and is set to retail cheaper than even the Asus Zenfone 5Z. Interesting? Let's check out what the Poco F1 has to offer. Design-wise, the Poco F1 is more or less in-tune with most 2018 flagships and their killers. 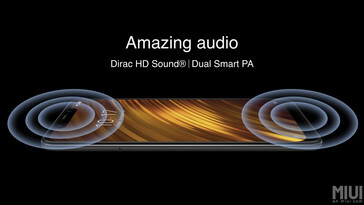 The phone comes with a 6.18-inch FHD display protected by Corning Gorilla Glass. The back is polycarbonate with a touch of aluminum in the sides. The polycarbonate back should fit snugly in the hand without slipping. 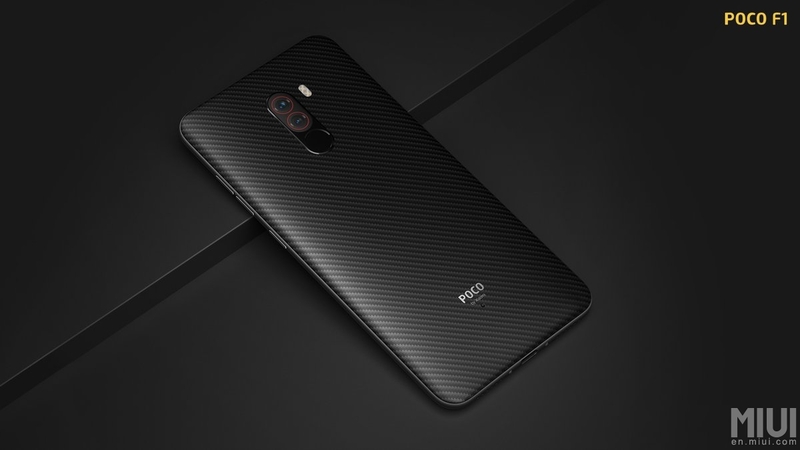 For those who don't prefer slapping on a case, the Poco F1 comes in a special Armored Edition that features a Kevlar chassis making it inherently scratch and wear resistant. As expected, the display sports a prominent notch, which is a tad bit larger than the OnePlus 6 and the Zenfone 5Z. 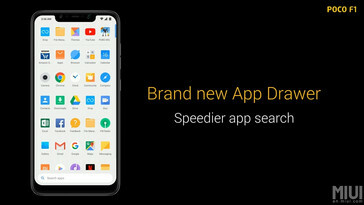 The larger notch is not without utility, though. 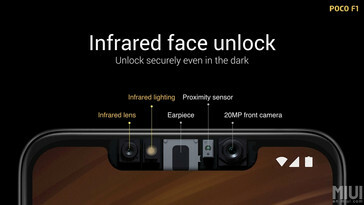 The Poco F1's notch houses an IR emitter and a lens that helps in face unlock even in complete darkness. Most Android phones support face unlock via just the front camera so this is a welcome addition. 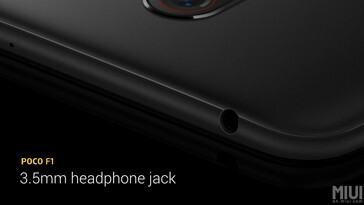 On the back there are dual cameras with the fingerprint sensor located just below it. Xiaomi is betting big on performance of the Poco F1 and gauging from the specs, it doesn't seem to disappoint. The Poco F1 is powered by the flagship Qualcomm Snapdragon 845 SoC that is liquid-cooled for sustained performance in gaming and CPU intensive apps. There are 6 GB and 8 GB LPDDR4X RAM options available along with 64 GB or 128 GB UFS 2.1 storage. 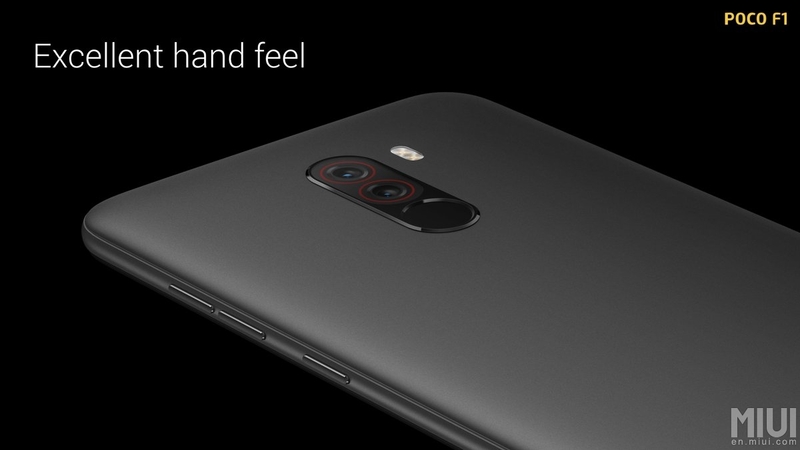 The Armored Edition comes with 8 GB RAM and 256 GB internal storage. Xiaomi claims that the Poco F1 can sustain longer periods of peak performance compared to other smartphones in its class. 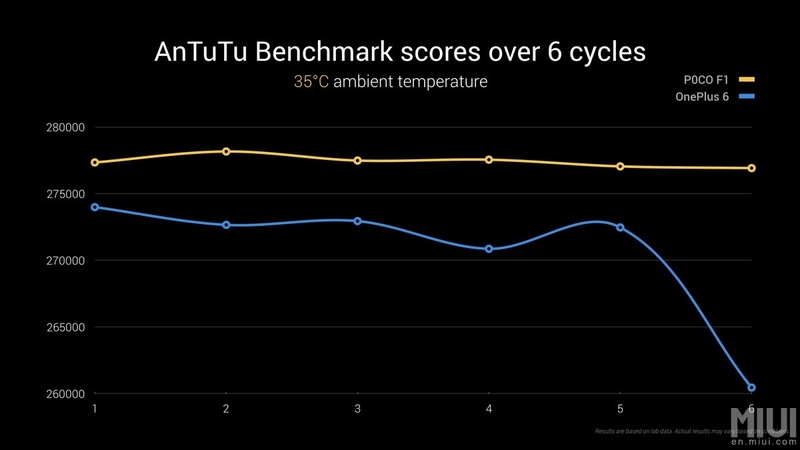 We reported earlier about the Pocophone's AnTuTu records and the company emphasized the same during the keynote. Not surprisingly, the Adreno 630 lives up to its name and is faster than the competition. 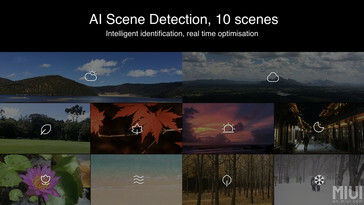 The Poco F1's software also influences the performance claims of the phone to a large extent. At launch, the Poco F1 will be shipping with Android 8.1 Oreo overlaid with Xiaomi's MIUI 9.5. An update to MIUI 10 and Android 9.0 Pie is on the cards sometime in Q4 2018. 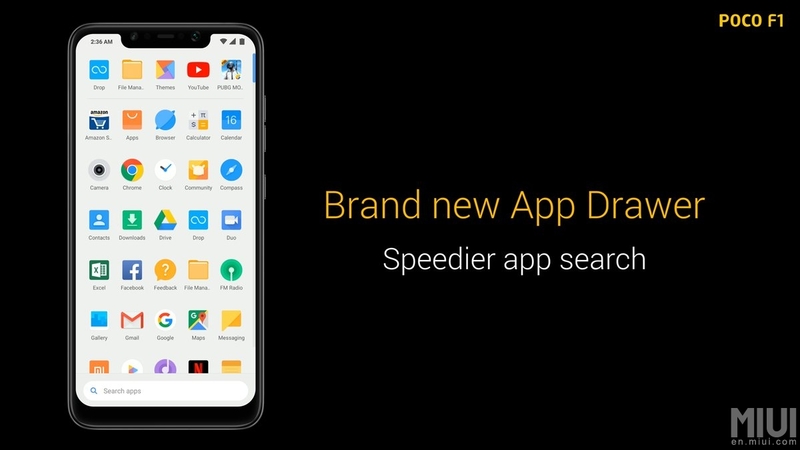 MIUI 9.5 is somewhat customized for the Poco F1 and comes with a new app drawer and a Poco-specific launcher. 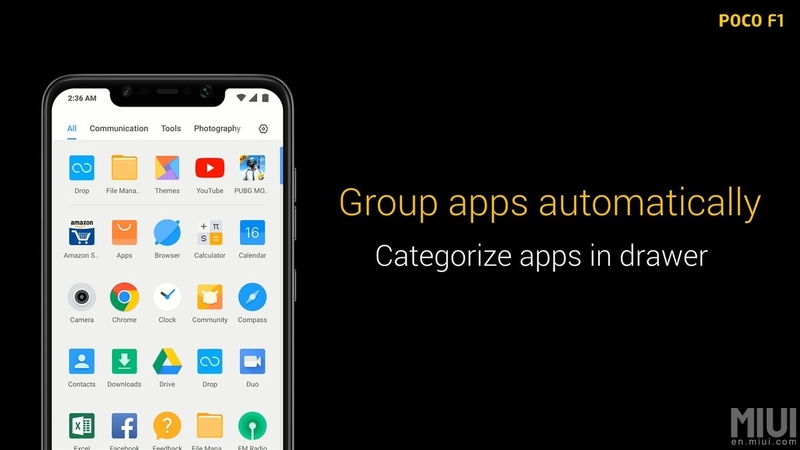 The Poco launcher will also be made available on the Google Play Store starting August 29. MIUI for Poco F1 comes with a lot of under-the-hood improvements for faster app launches. Optimizations for top apps in the Play Store are pre-built into MIUI. 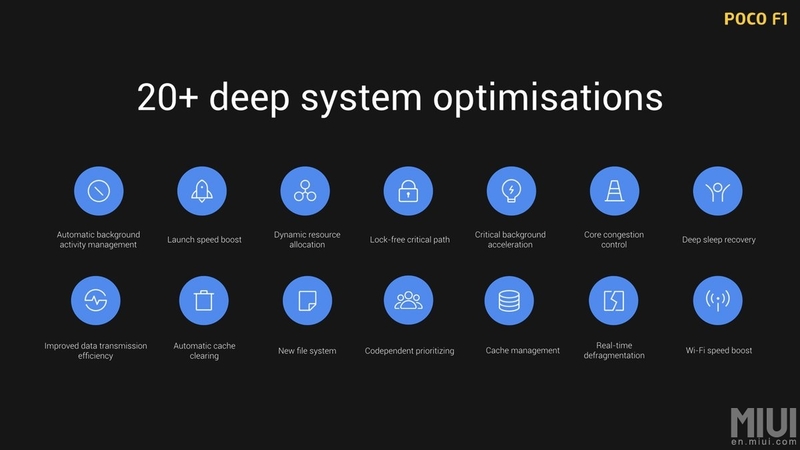 Xiaomi says that it has implemented more than 20 deep system optimizations, which should result in an overall snappy experience. 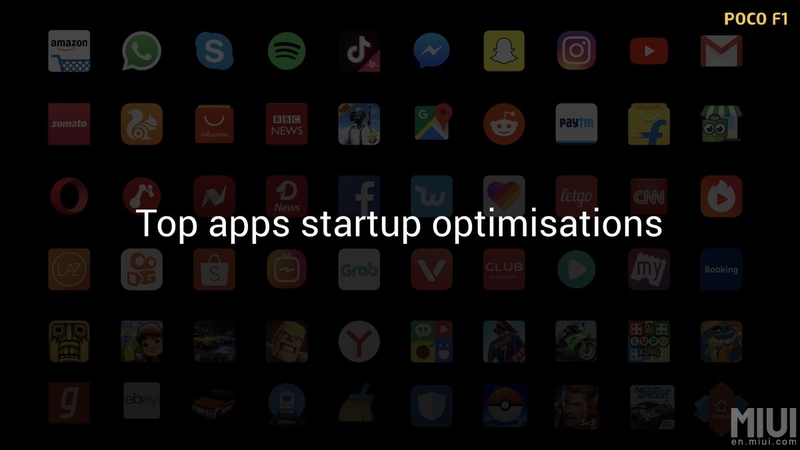 Swiping performance is said to be 21% faster and app startup is touted to be 28% faster compared to phones running stock Android. 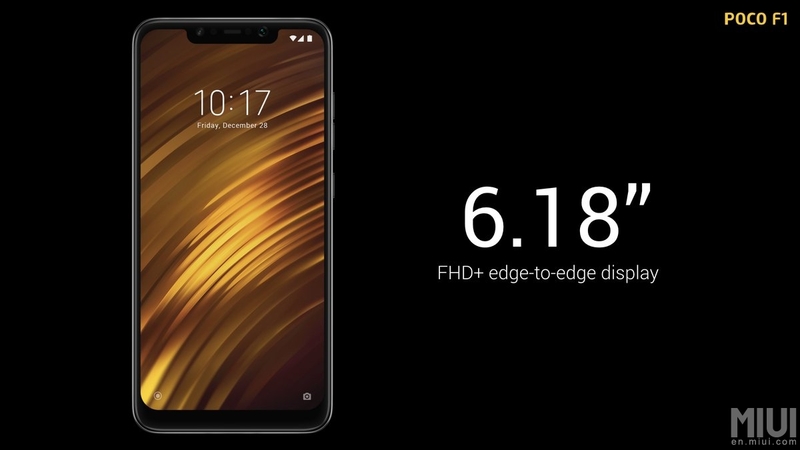 Xiaomi is also projecting this phone as an enthusiast-friendly device and unlike in the past, will be making the kernel sources available to the developer community on GitHub right on launch day. Smartphones at competitive price points generally skimp on the cameras but the Poco F1 does not seem to sacrifice much. 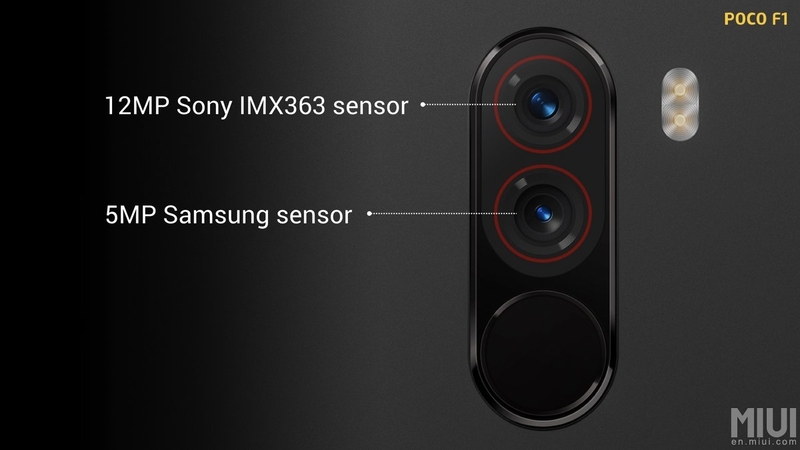 The rear shooter is a 12 MP f/1.9 Sony IMX363 lens and is accompanied by a secondary 5 MP Samsung sensor for depth sensing. 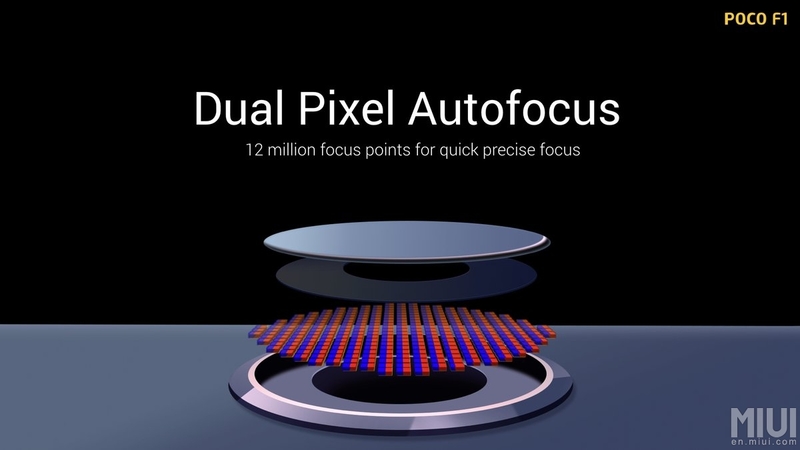 The 12 MP camera has dual pixel autofocus for quick focusing and a pixel size of 1.4-micron so the hardware looks fairly capable at least on paper. 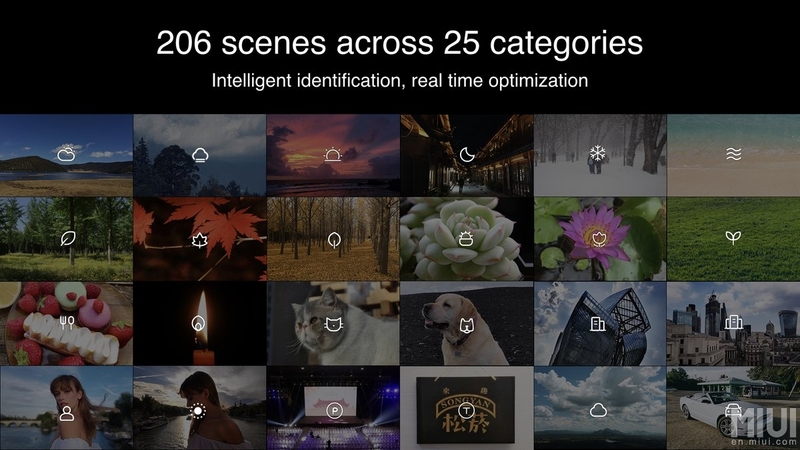 Xiaomi is betting a lot on the AI capabilities of the Snapdragon 845 to automatically apply the necessary software processing depending on the scene. The front camera is a 20 MP f/2.0 sensor — same as the Mi 8 — and features pixel binning for effective low-light selfies and portraits. 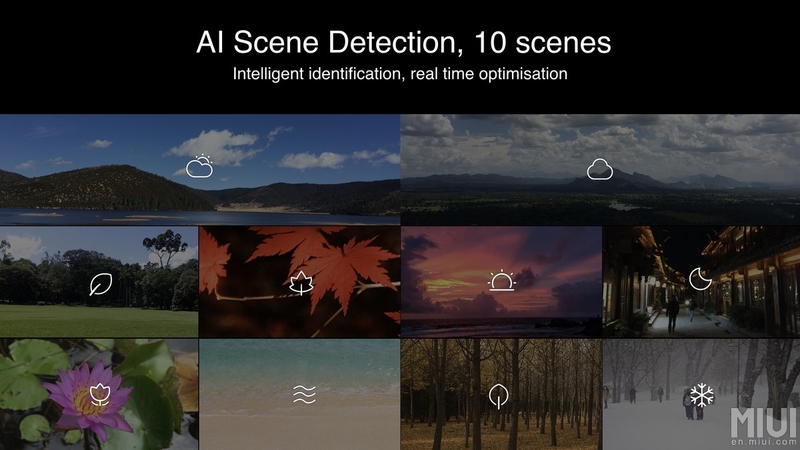 The rear camera sports AI scene detection for 206 scenes while the front camera has AI detection capabilities for up to 10 scenes. The usual suite of connectivity options are present including dual-band AC Wi-Fi, Bluetooth 5.0, a hybrid dual-SIM slot that supports dual VoLTE standby and microSD expansion up to 256 GB, a USB Type-C port, and a 3.5mm headphone jack. 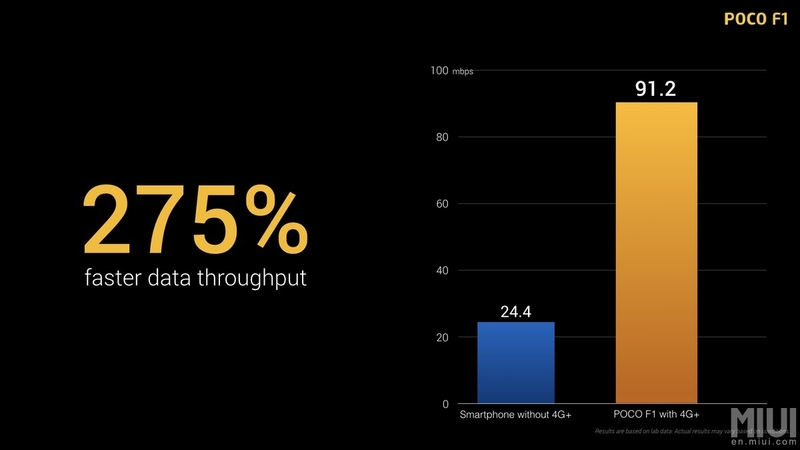 The Poco F1 is one of the first phones in India to support carrier aggregation for enhanced coverage both indoors and in weaker signal areas. The Poco F1 can pump out hi-fidelity audio thanks to the Dirac HD audio codec and dual PA amplifiers for loud audio from the speakers. The earpiece can act as a secondary speaker for a stereo-like effect. The 4,000 mAh battery is a rarity among flagships and should offer great battery life and screen-on times. 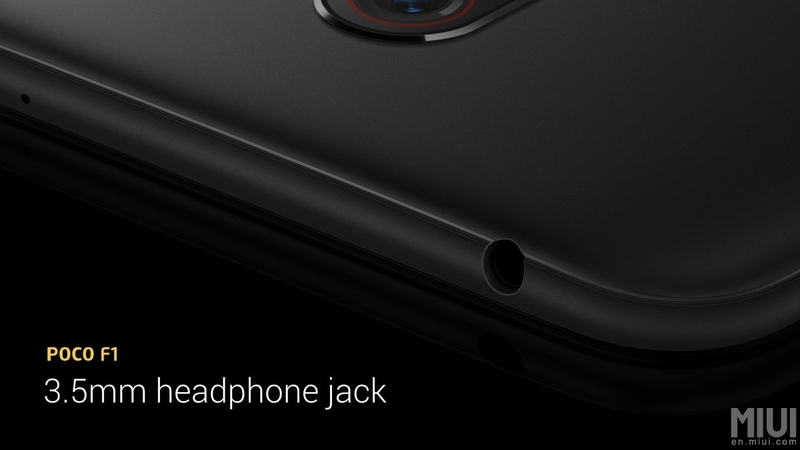 It can also be topped up quickly as well thanks to support for Qualcomm QuickCharge 3.0. That is some insane pricing for the kind of performance on offer. For perspective, the OnePlus 6 (6+64) costs ₹34,999 (US$500) while the Asus Zenfone 5Z (6+64) retails for ₹29,999 (US$429). Another major Chinese player in the Indian market is Huawei's Honor and it might start feeling the heat soon. 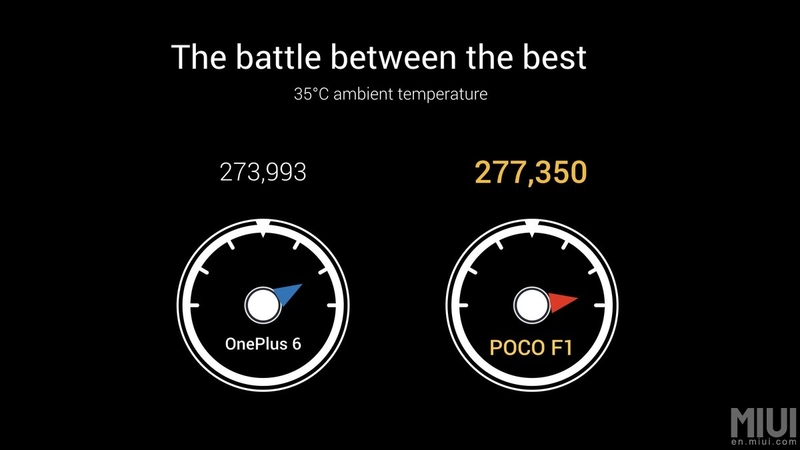 At a starting price of ₹20,999, Poco F1 is more likely to be preferred than the Honor Play (4+64 - ₹19,999; US$286) or the Honor 10 (6+128 - ₹32,999; US$472) as it offers a much more capable and modern SoC. There are also attractive cashbacks and data vouchers on offer. 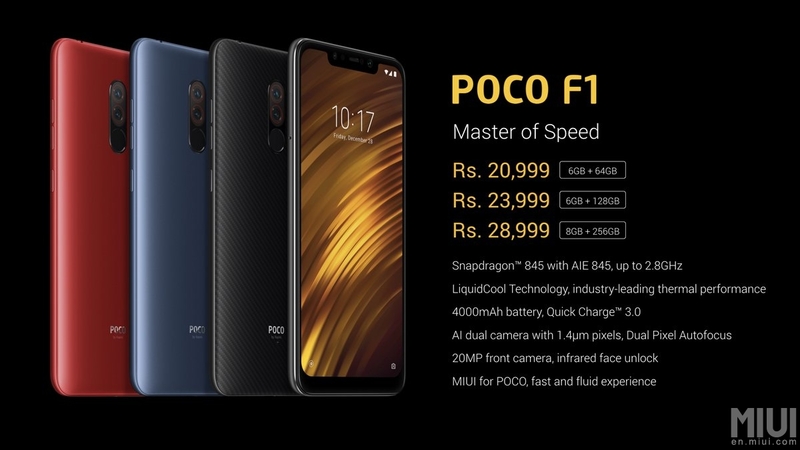 The Poco F1 will go on sale in India at 12 PM IST on August 29 on Flipkart and Mi.com. Of course, specs are just one part of the picture and a lot also depends on the overall experience of using the phone. 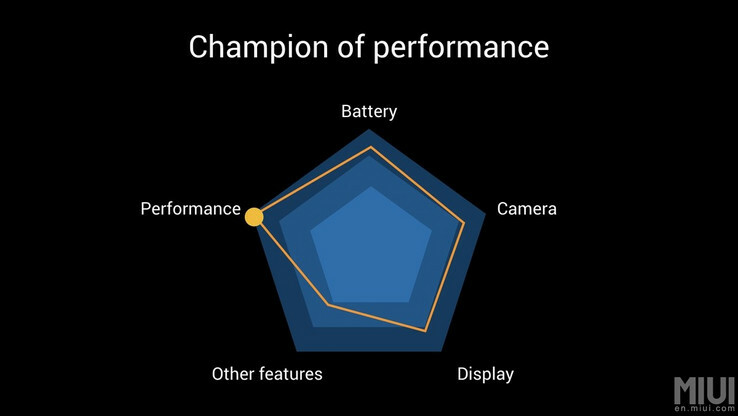 We look forward to testing the Xiaomi Poco F1 soon to learn about its performance and understand where Xiaomi has cut corners. That said, the smartphone landscape, especially in non-US markets, has gotten a lot more interesting and ultimately, more choice is only going to benefit the customer and drive innovation at lower price points.